The amount of direct blazing sun that we face daily in San Antonio is no joke. Summer weather began weeks ago and we've only barely entered May. The sun really does a number on my family and I in the car. I always make sure that I have some sort of window shades to block out most of it. I have a pair of black shades that I use in the front and I have these really cute ones in the back seat with my kids. They are far some boring. I think they are super cute. I like the bright colors and especially that little giraffe. You want to know how easy these are to attach to your car window? You pull them apart from one another and stick on your window. They cling on and stay on until you remove them. These are way better than those old school shades with the suction cups. As you can see, they might not cover the entire window, but they sure cover most of it. You can also use these shades on a window in your house or business. 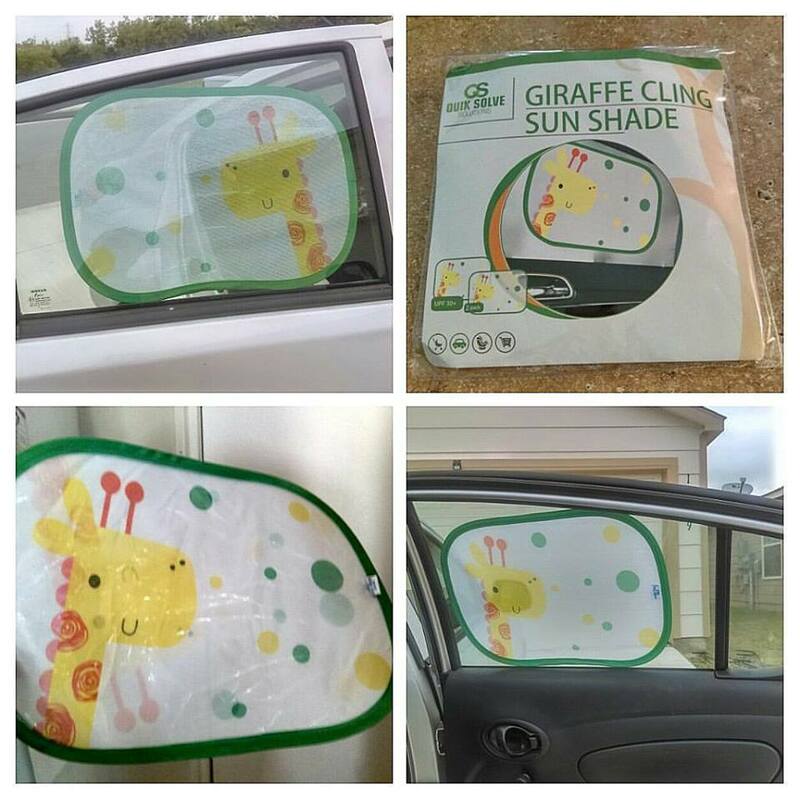 Nice to use in a nursery if the sun is shining directly where your baby sleeps, or just to darken the room a little. Bye bye harmful UV rays!